Watching Meteors: One of the good things about watching meteors is that you don’t need any equipment-just your eyes and a bit of patience. Even in a ’meteor shower’, it is rare to get more than one shooting star a minute. Don’t be surprised if you see nothing for five or ten minutes, then two or three in a row. The key to watching meteors; is to be comfortable and keep your gaze on the sky! Find an area outside which has a wide view of the sky and away from bright lights. Your view of the sky needs to be as light-free as possible to improve your chances of seeing more. Also allow a few minutes for your eyes to adapt to the dark. You will then be able to see the fainter meteors which are more common. 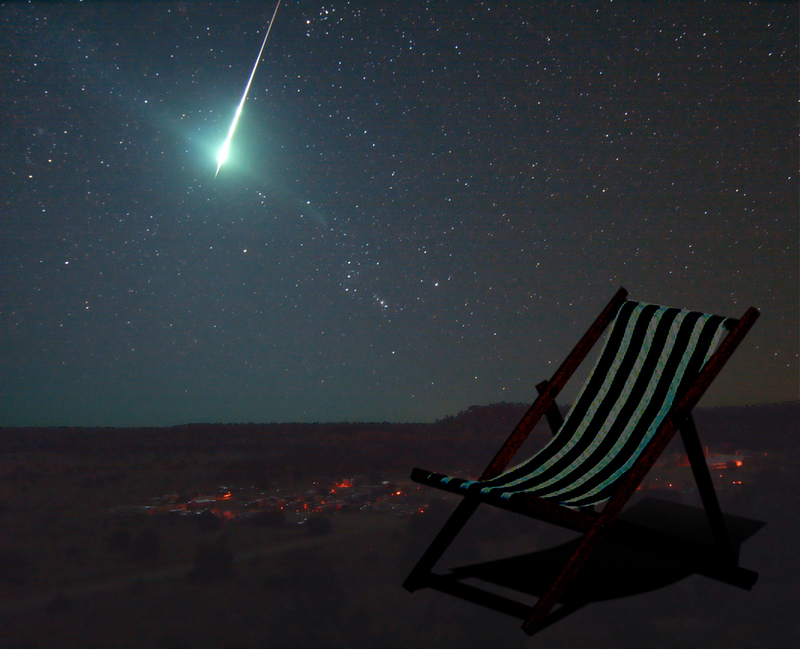 The key to watching meteors is being comfortable and keeping your gaze on the sky. Dress warmly, because in the middle of the night and early hours of the morning. It can be quite cold. Lie on the ground on a rug, with a sleeping bag or blanket. Or sit on a reclining garden chair so you can spend as much time as possible looking up without craning your neck. Standing and looking up for long periods can be uncomfortable. 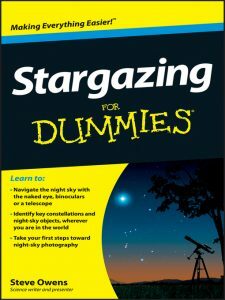 It will reduce your chances of seeing those ‘wow’ meteors. 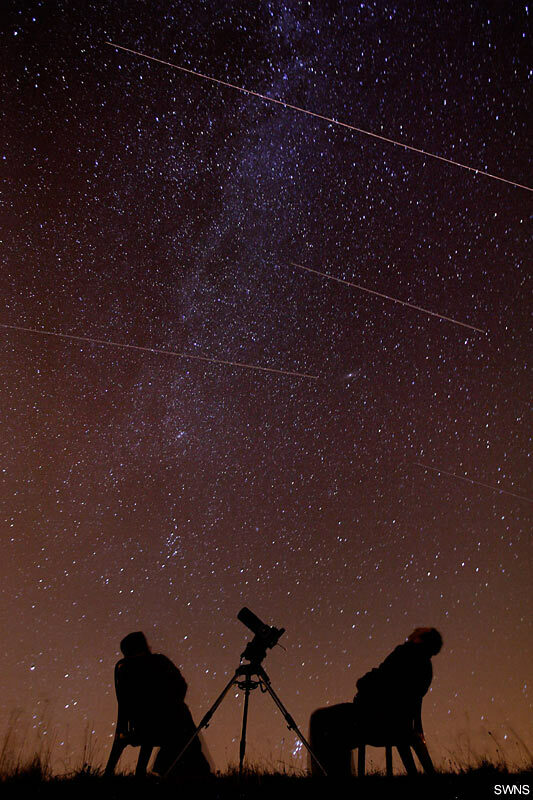 While watching meteors, try to keep your gaze on the sky for as long as possible. Many people have missed that perfect meteor when they looked away. This is very annoying, especially when everyone else saw it but you didn’t! You will also see aircraft and satellites! Meteors can appear randomly in any part of the sky! Meteors can appear in any part of the sky! If a meteor shower is in progress it usually helps to look up and just fill your gaze with sky. I tend to face south and get as much sky as I can in my peripheral vision. Looking straight at the radiant means you will see them head on and with very short trails. Watching meteors to one side of the radiant gives a reasonable length of trails but is still close enough to catch the majority of meteors. Looking about 30 degrees up means you are looking through a larger volume of air than when looking overhead, which should catch more shooting stars and especially fireballs, but is still high enough to be above the haze. When watching meteors, most appear as a bright streak of light lasting less than a second. but Some may be more dramatic and leave behind persistent trains lasting several seconds. 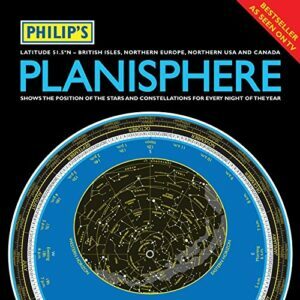 This can be very obvious with the Perseid and Geminid Meteor showers. If there is a shower in progress then over the course of the evening you may begin to notice that most of the meteors radiate from a particular part of the sky. The more experienced observers keep records of the number of meteors they see and the directions they come from. This allows us to predict the behaviour of the showers in future years. The most import thing to do is relax, sit back and enjoy.